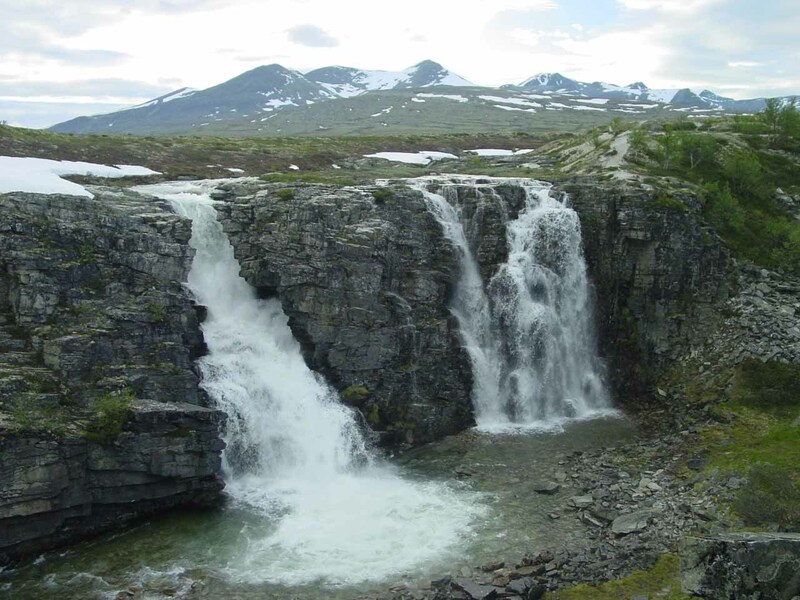 Storulfossen (perhaps more popularly known as Bruresløret or the Bridal Veil) was an attractive year-round 20m waterfall situated in the scenic highland moors of Rondane National Park. I particularly found this waterfall to be memorable because it was the only one I encountered in during our June/July 2005 trip to Norway that was situated in an open, seemingly desolate highland plateau. 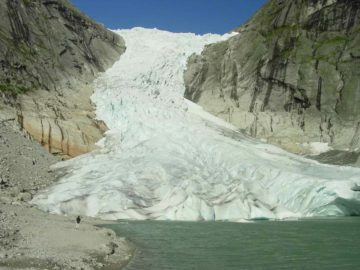 Just about all of the waterfalls we had visited to this point resided deep in river canyons or glacial fjords surrounded by towering mountains. 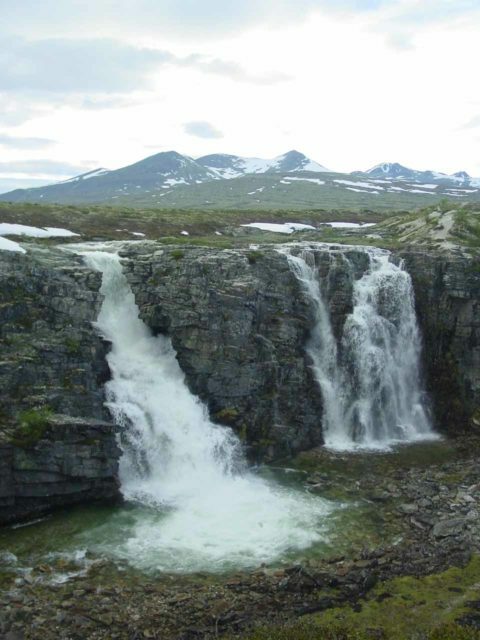 In fact, it was almost as if this waterfall appeared from out of the blue when all indications appeared as if there would be nothing but more tundra-like flatlands with some mountains in the distance. As a result, I did have a little bit of trouble trying to find it since I didn’t see signs that specifically pointed out this waterfall to guide me. At the car park amidst the wide open expanse at Spranget (see directions below), I was surprised at the number of cars that were parked here. Considering the seemingly remote spot where it seemed like there was nothing around the area except for the unpaved road it took to get there, that at least suggested to me that something was here. In any case, I wasn’t sure why there were so many cars nor why this place was so popular. However, I would find out later (after the trip) that Rondane National Park was set up to protect the last remaining herds of wild reindeer. 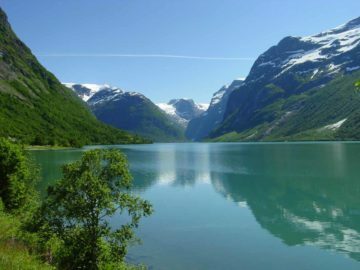 The locale also figured prominently being a famous Norwegian story involving the iconic Peer Gynt. 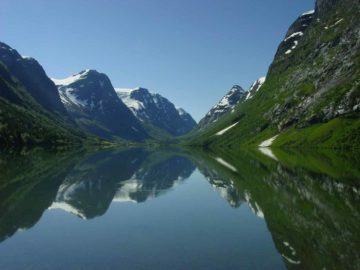 Thus, this place was a deeply rooted aspect of Norwegian identity and culture. So with all that said, it ultimately turned out that I was the only person on the trail in search of the falls. As I started walking from the car park (Julie stayed in the car), I wasn’t sure which of the many trails to choose from that I was supposed to take despite there being a few signs. Unfortunately, none of these signs (at least from what I could tell) said anything about Storulfossen or Bruresløret so I was constantly doubting myself about whether I was even in the right place. So on just a whim, I initially headed north until I eventually came upon a river (which turned out to be the Store [Big] Ula River). At that point, instead of going across a bridge and continuing north towards some mountains in the distance, I followed a trail that went downstream to my left (west) alongside the river. 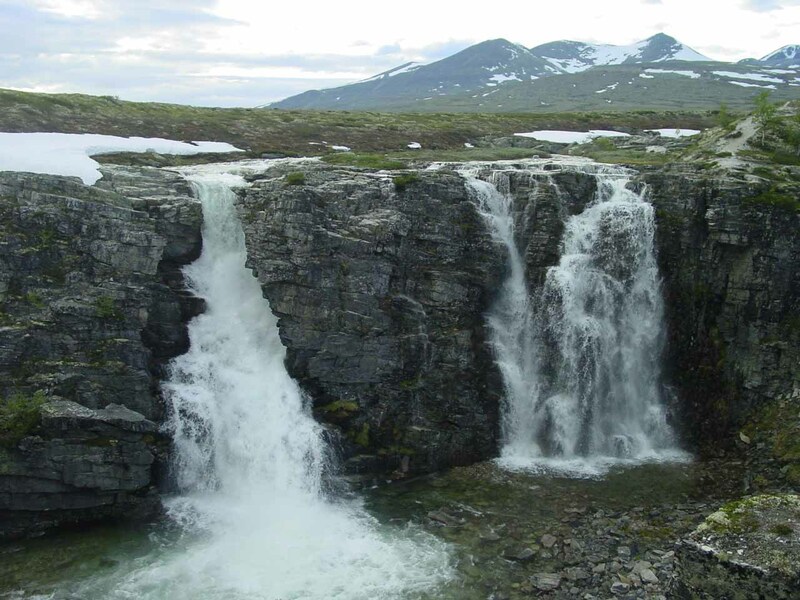 Eventually, I made it to the waterfall Storulfossen and its segmented dual drop nestled in a shallow mini-gorge. 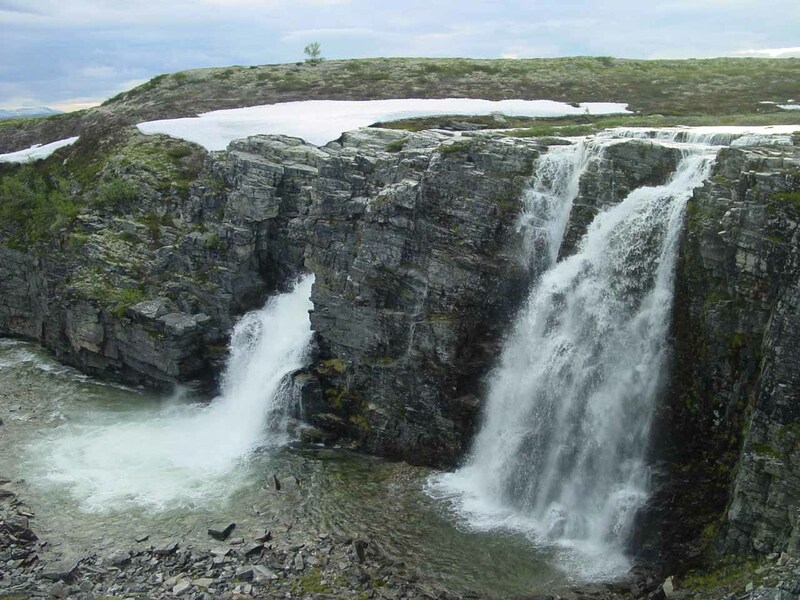 I would have never guessed that this spot could have such a waterfall given how I was surrounded by flat and desolate tundra with no hint of this gorge when I started off at Spranget. When I eventually had my fill of this waterfall, I saw a trail that took me on a more direct path back to the car park (instead of following the river, which turned out to be a more roundabout route). So in the end, it took me about 45 minutes round trip to do this entire hike, but I’d imagine that it should be much shorter than that. 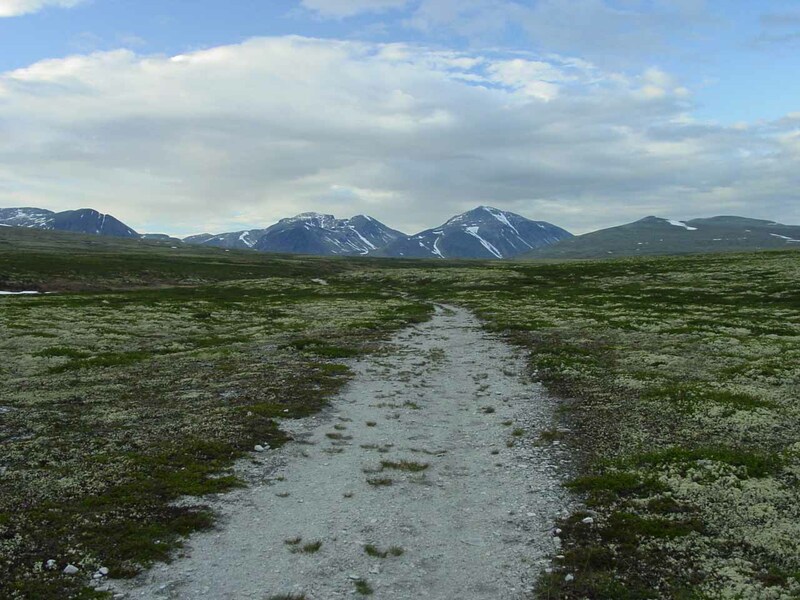 So I’m sure there might have been better ways to do this hike from Spranget or from other trailheads. On top of that, I eventually realized that the official name of the falls, which was a compound word “Storulfossen” could be deconstructed to mean “Store Ula Falls” after the name of the river it belonged to. So it shouldn’t have been surprising to find it while following the river. 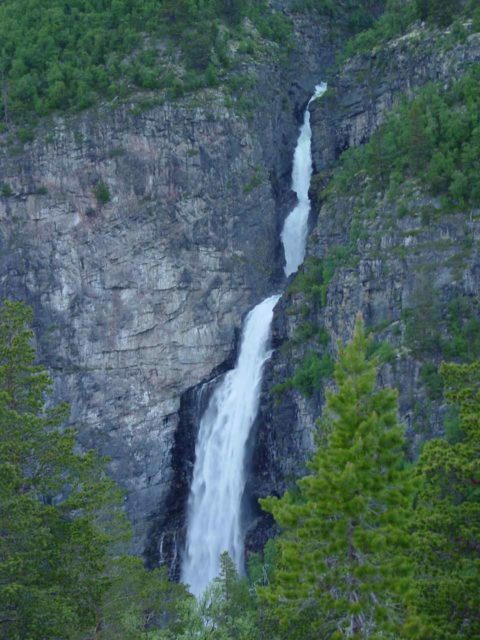 Storulfossen resides in the Sel Municipality. For information or inquiries about the area as well as current conditions, visit their website or Facebook page. 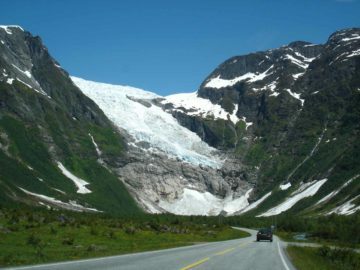 From the Rv15/E6 junction in the bustling town of Otta, we headed south on E6 for about 800m. 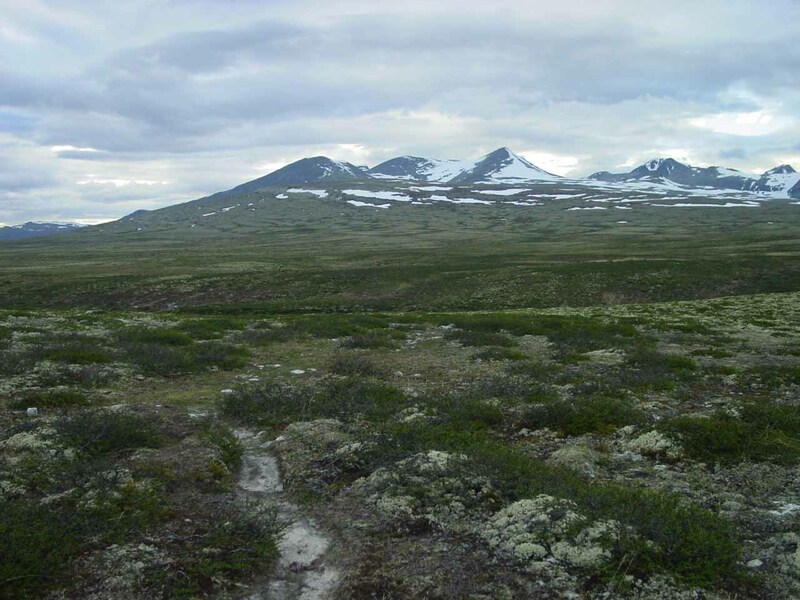 Then, I took the turnoff on the left leading to the village of Mysusæter and Rondane National Park (Rondanevegen). 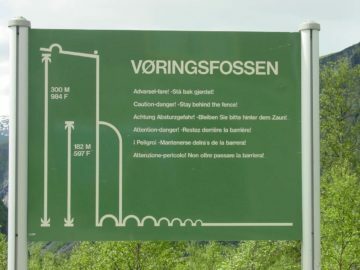 I didn’t recall if the turn was signposted or not, but I did recall getting some help from a nearby gas station (bensinstasjon) where some friendly people there told me which way to go. 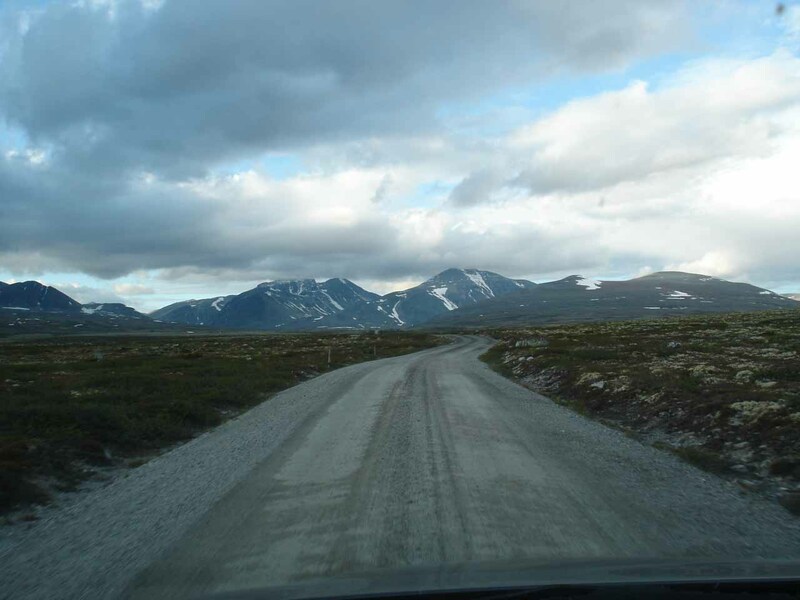 Anyhow, as I was following this road for about 13km to Mysusæter, the road became unpaved. 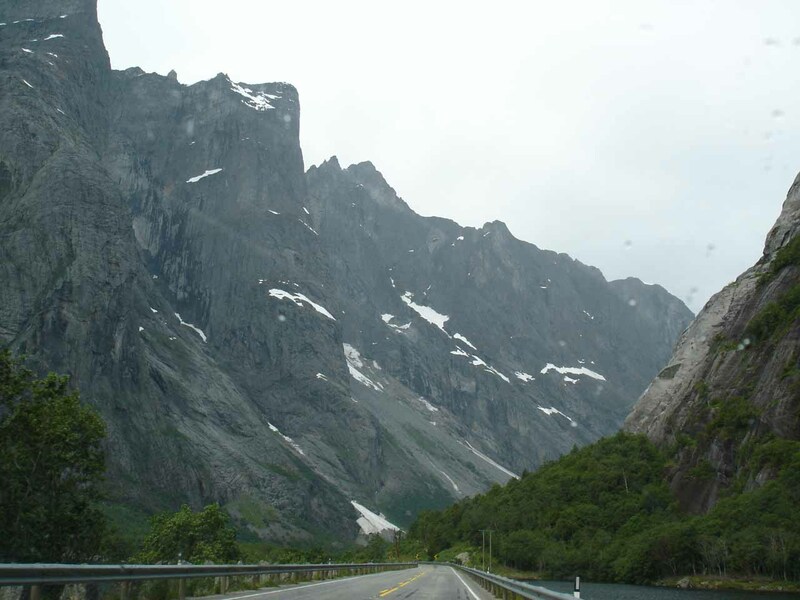 Once I was at Mysusæter, I continued taking the road east until the road forked at a 3-way intersection. 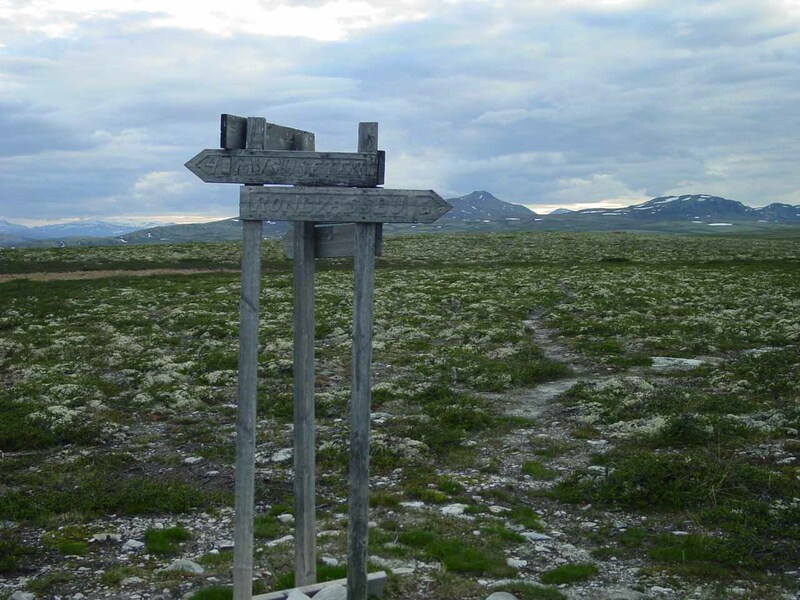 I went left (north) at this intersection and then turned right at the next major turnoff, which was a toll road with a self help money box and manual barricade (I recalled it might also be signposted for “Spranget”). I followed this road for just under 4km to its end at the large car park at Spranget. 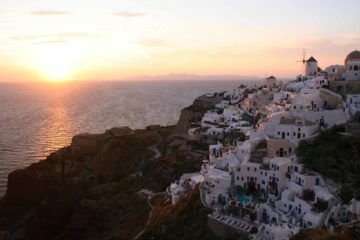 This was where I started walking. 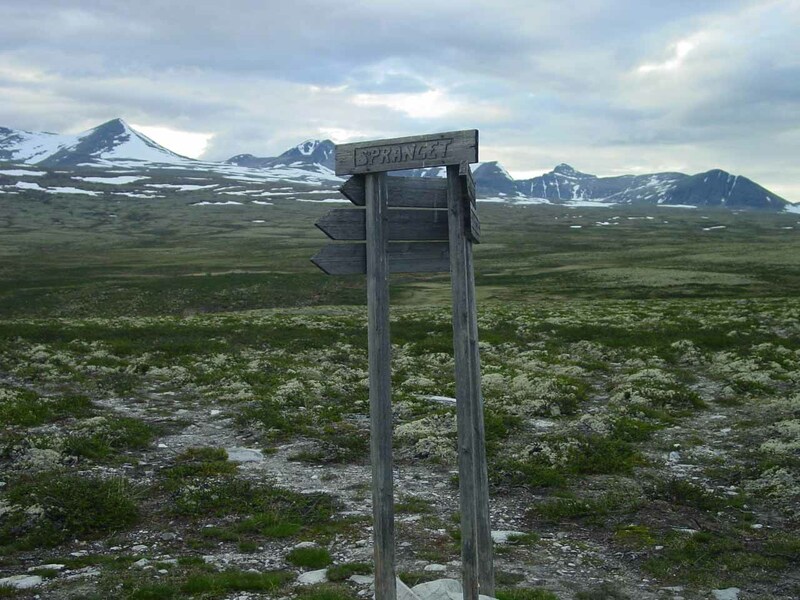 It turned out that from looking at my map, there was a trailhead for Storulfossen (Bruresløret) earlier on that stretch of road leading to Spragnet, but I somehow missed it. Thus, I ended up taking a slightly longer but relatively easy-to-follow trail to the falls.